John Humphrys’ name has become synonymous with the BBC over a 50-year career at the broadcaster. The Welsh newsreader, foreign correspondent, quiz master and published author has announced his departure from the Today programme after 32 years. He does not plan to retire, and will continue to host the BBC Two quiz show Mastermind. A wide-ranging career has seen him cover Richard Nixon’s 1974 resignation and publish a series of books on language and religion. But it is his time on BBC Radio 4’s early-morning current affairs show that he is best known for. Humphrys was born as one of five children in Cardiff to Winifred Mary Matthews, a hairdresser, and Edward George Humphrys, a French polisher. He attended Cardiff High School, at that time a grammar, and left aged 15 to join the Penarth Times as a cub reporter. Later, he joined the larger Western Mail and after a stint at Welsh TV channel TWW moved to the BBC in 1966. He spent his first years at the corporation as a foreign correspondent in the US and South Africa. But Humphrys became disillusioned with life on the road. He missed his wife Edna and their children Christopher and Catherine, and he was tired of living out of a suitcase. He returned to London in 1980 to become a diplomatic correspondent and a year later was promoted to main presenter of the now defunct Nine O’Clock News. Six years later he joined the BBC Radio 4 programme Today. His tenure at the BBC, however, has not been without controversy. In September 2005 he allegedly branded all politicians liars during a fiery after-dinner speech, going after then-Prime Minister Tony Blair and Gordon Brown. The speech was leaked to The Times newspaper by Tim Allan, a former aide to Blair, and Humphrys was censured by the BBC for “inappropriate and misguided” language. 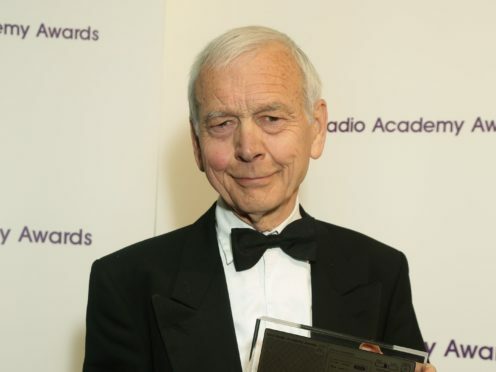 Humphrys’ penchant for controversy is complemented by his tough, forensic interview style – which has sometimes received criticism from bruised politicians post-interview. In March 1995 former Conservative Cabinet minister Jonathan Aitken accused Humphrys of “poisoning the well of democratic debate” following an interview on Today. Humphrys also remains under intense scrutiny following the disclosure of his salary during the BBC pay gap scandal. In July 2017 the pay packet of BBC employees earning more than £150,000 was made public. Humphrys was named fifth on the BBC’s list of highest paid staff members, earning a yearly salary of £600,000-£650,000. Within a year Humphrys had taken a pay cut of £200,000 but his levity on the matter landed him in trouble. During a leaked off-air conversation with the BBC’s North America editor Jon Sopel, Humphrys was heard making light of complaints by former China editor Carrie Gracie on wage disparities between men and women. Humphrys has been divorced twice and has a third child, a son, with his second wife, Valerie Sanderson, a newsreader for Spotlight and BBC News 24.